Available to Rent Next Day Next day delivery on the PT878GC is available to mainland UK when rental paperwork is received by 12 midday (stock permitting). Supported by engineers with proven field experience. The Panametrics PT878GC clamp-on ultrasonic gas flow meter is a portable flow meter used to measure natural gas, compressed air, inert gas or any compressed gas application. The PT878GC can not only measure gas flow rates, but can also record and log data internally and then download it to a PC. The PT878GC gas flowmeter is a compact transit time (time of flight) portable flow meter suitable for a wide range of non-invasive gas flow measurement applications. The portable gas flow meter is extremely compact, contains a rechargeable battery and has a universal power adaptor. 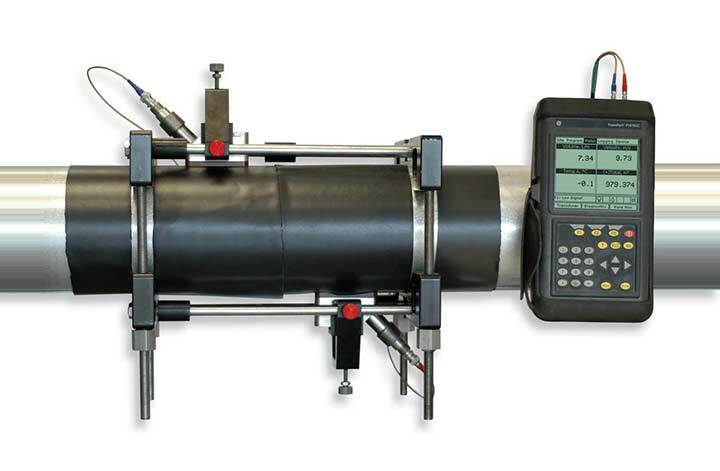 Prior to the PT878GC, clamp on flowmeters could not measure gas within metal pipes. However, the sophisticated signal processing and technology of the PT878GC means that clamp on flow metering can be used to measure gases at low and high pressure in metal, non-ferrous and plastic pipes. The Panametrics PT878GC gas flowmeter can be used to measure the flow of almost any gas including natural gas, oxygen, argon, hydrogen, nitrogen, CO2, methane, ambient air and compressed air. 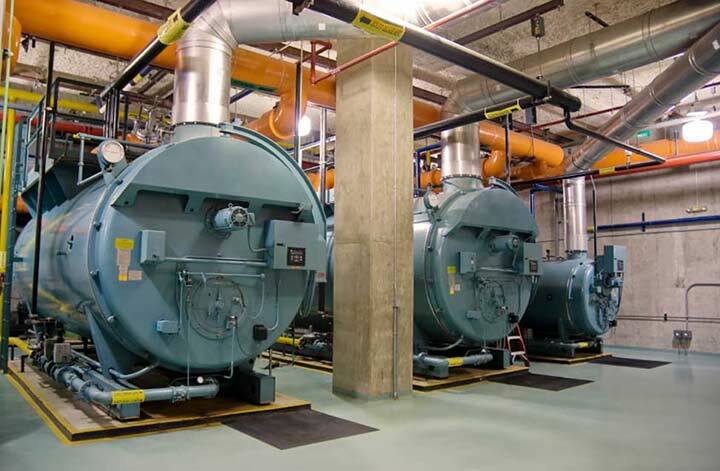 The greatest advantage of the PT878GC is that it can be used in without any modification to the existing pipework. 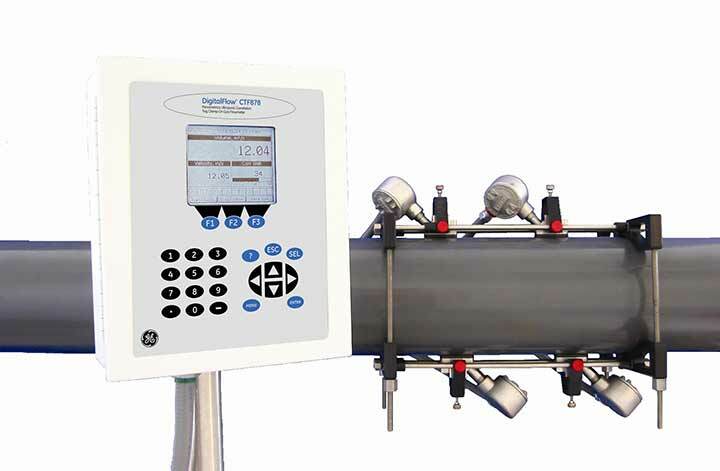 Measuring erosive, corrosive, toxic, high-purity or sterile gases with a non-invasive flow meter is an obvious advantage as no modifications are required and installation costs are significantly reduced. The meter could even be moved to another location at a later date to measure a completely different pipe size and gas! The PT878GC can log 100,000 data points and download them via its infrared port (no cables involved). The meter housing weighs in at 1.36kg and is IP67 rated. A wide range of transducers and clamping fixtures are available for sale or hire. Accuracy depends on pipe size and other factors. 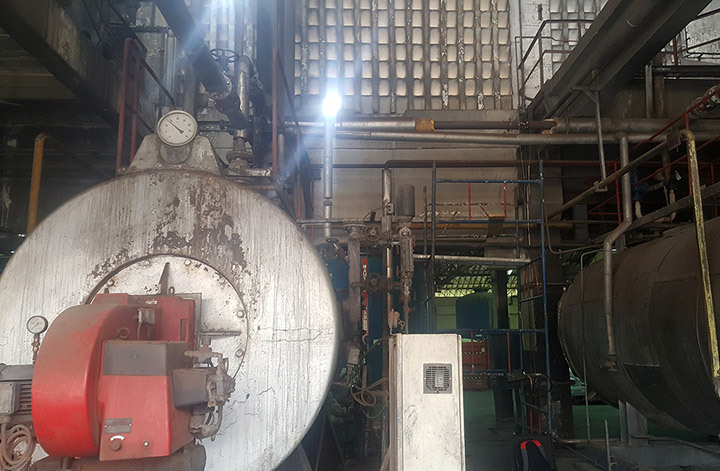 Pipe Wall Thickness Thicker walled pipes require greater gas density. See Installation Requirements Table. All metals and plastics. No lined pipes.